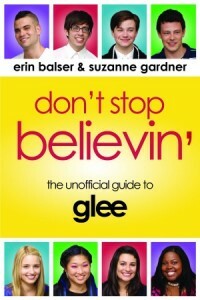 It’s two weeks in a row for Quinn here on Gleeks United’s Music Monday! I’m back at the helm and I’ve picked a Blondie hit for our blondie former cheerleader. Check out the video for “Heart of Glass,” and read on to see why I think this song fits Quinn’s style perfectly. Aside from the obvious cuteness of having the show’s starring blondie sing a song by, well, Blondie, I think this song would be a fun and suitable tune for Quinn. Blondie’s lead singer Debbie Harry definitely has a unique voice, but I think Quinn would be up to the task of putting her own twist on this classic. Sure Blondie is quite different from, say, The Supremes or Dionne Warwick, both of whom Quinn has tackled solo before, but I still see a common element in the vocal styles of these three songs. Just like in “You Keep Me Hangin’ On” and “I Say a Little Prayer,” the vocals in “Heart of Glass” are feminine yet self-assured, a balance which I think Quinn can emulate well. As for how this could work well in a storyline for Glee, just take a listen to the lyrics for a moment. The song is about a girl who was once in love and it seemed like the real deal, until she discovered he was a liar and probably a cheat. With all the romantic drama circling Quinn, surely this idea will apply to her at some point, be it Finn, Puck, or someone else! I can definitely see Quinn belting this song out to express her frustration, just like she did with “You Keep Me Hanging On” (although I suppose she wouldn’t have the Cheerios as her back-up dancers this time around). ← One more day ’til The Power of Madonna!